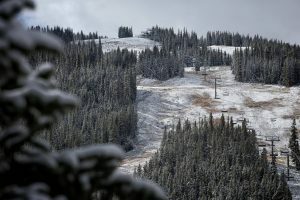 Copper Mountain, CO – The latest casualty falling victim to the persistent warm, dry weather blanketing the central Rockies is Copper Mountain. The Colorado ski resort announced today that it was delaying its planned season opening by a week, to November 18. 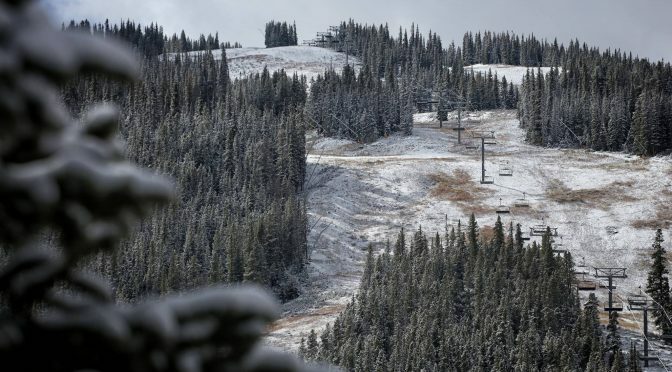 Copper Mountain has been open since November 4, but only for ski team training. It had previously planned to open for the public this Friday. “Copper Mountain takes great pride in providing an exceptional top to bottom skiing and riding experience for opening day year after year,” resort officials indicated today in a prepared statement. “Though the resort’s snowmaking team has been hard at work, unseasonably warm temperatures have limited snowmaking production and hindered the ability to create a product up to Copper’s standards. The Woodward Barn Bash will still take place at Copper Mountain this Saturday, Nov. 12 from 2 to 8 p.m. Free intro, drop-in and skate/BMX sessions will be offered along with live music, a pro skate demo, video premieres, giveaways and more. Nearby Breckenridge and Keystone both still have November 11 penciled in on the opening day calendar, as neither have yet to announce any delay. In the meantime, Front Range skiers and riders can get their early season on at Arapahoe Basin, which opened for the season on October 21. Loveland Ski Area will present a second local option beginning this Thursday.